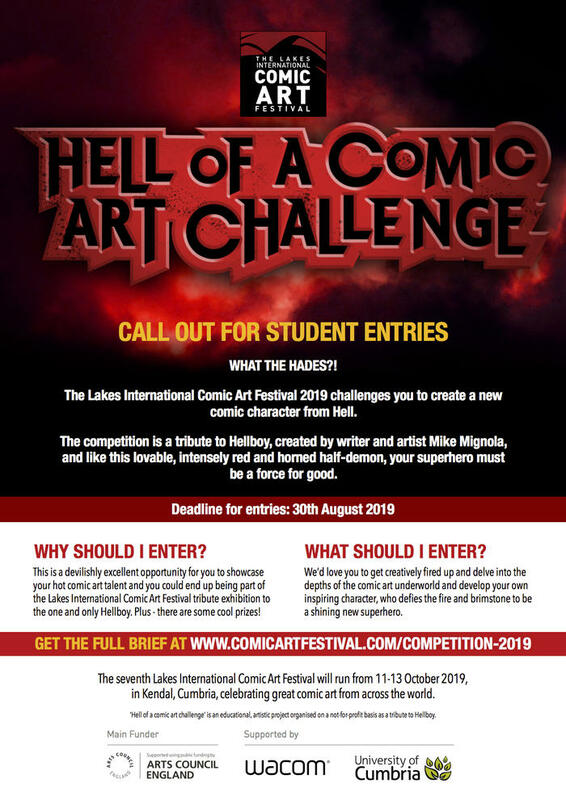 Lakes International Comic Art Festival launches "Hell of a Comic Art Challenge"
Entries are now open for Hell of a Comic Art Challenge! The Lakes International Comic Art Festival 2019 is inviting students of the arts, young comic art enthusiasts and the next generation of comic creators to flex their creative talents by exploring the depths of Hell to create a new comic character. The competition is a tribute to Mike Mignola's Hellboy - and like the loveable, intensely red and horned half-demon, your superhero must be a force for good. "The Hell of a Comic Art Challenge is a devilishly excellent opportunity for artists to showcase their hot comic art talent, and they could end up being part of the Lakes International Comic Art Festival tribute exhibition to the one and only Hellboy." "Plus - there are some cool prizes!" Artist Duncan Fegredo is curating the exhibition, which will include artwork from Mike Mignola, Duncan and others. Duncan will also be one of many guests at the Festival in October. Your challenge as a comics creator/ artist, should you accept it, is to get creatively fired up and delve into the depths of the comic art underworld and develop your own inspiring character, who can defy both fire and brimstone to be a shining new superhero. The winning entries will be announced on 5th October 2019 - Hellboy's birthday! The competition, which is supported by the University of Cumbria, is open now (closing on 30th August 2019). The competition is open to students of the arts and will be judged by comic artist Duncan Fegredo, ACE Board member Gemma Sosnowsky and LICAF Festival Director Julie Tait. 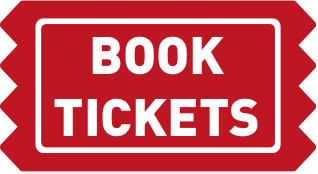 The seventh Lakes International Comic Art Festival will run from 11-13th October 2019 in Kendal, Cumbria, celebrating great comic art from across the world, an event focused on how comics are always Pushing Boundaries, while celebrating, as usual, the rich diversity of the entire comics medium. Other announced guests so far are Japanese manga artist Junko Mizuno, who has also provided the stunning poster art for this year's Festival, Doug Braithwaite, Becky Cloonan, Garth Ennis and Rob Williams - with many more international and British guests to be announced. 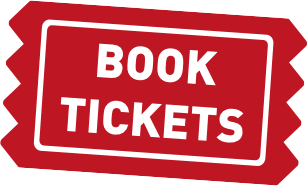 Early Bird Passes are on Sale Now until 31st March! 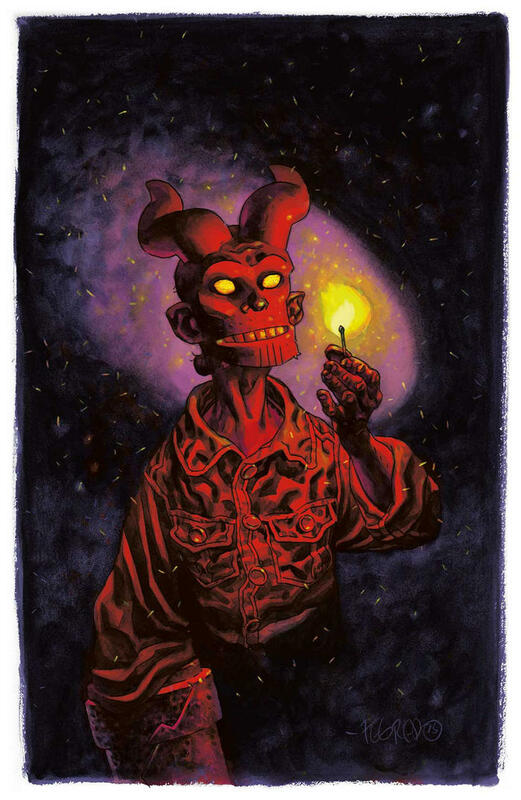 Duncan Fegredo has been drawing comics since (noncommittal grunt), his most well known works being his collaborations with Mike Mignola on Mignola’s Hellboy. 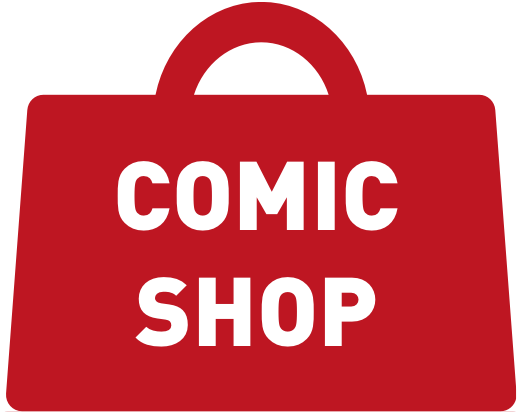 Books include Darkness Calls, The Wild Hunt, The Storm & The Fury and The Midnight Circus, all published by Dark Horse Comics. Earlier significant works include Enigma with writer Peter Milligan (for Vertigo), Jay & Silent Bob with writer/director Kevin Smith and, more recently, MPH with writer and iconoclast Mark Millar (Image books). 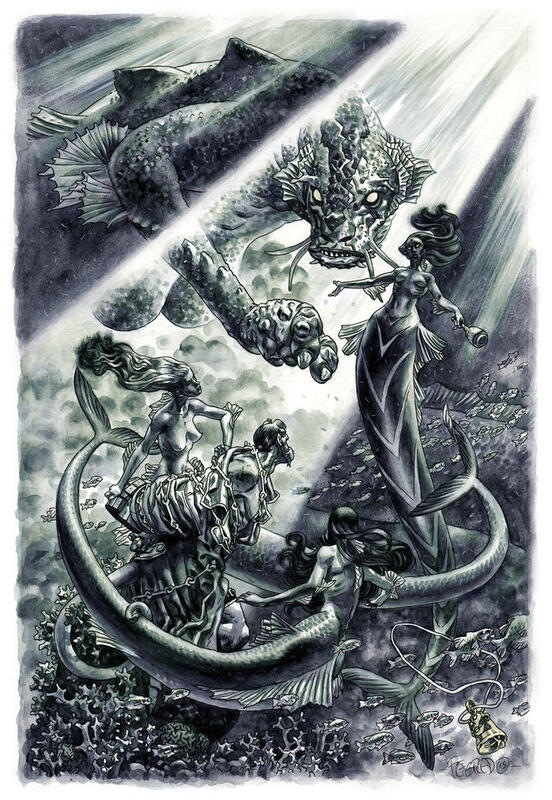 A step outside comics saw Fegredo work as lead storyboard artist on Darren Aronofsky’s NOAH movie, he’d like to do more.